Home » Book » Who Will Cry When You Die? Does the gem of wisdom quoted above strike a chord deep within you? Do you feel that life is slipping by so fast that you just might never get the chance to live with the meaning, happiness and joy you know you deserve? 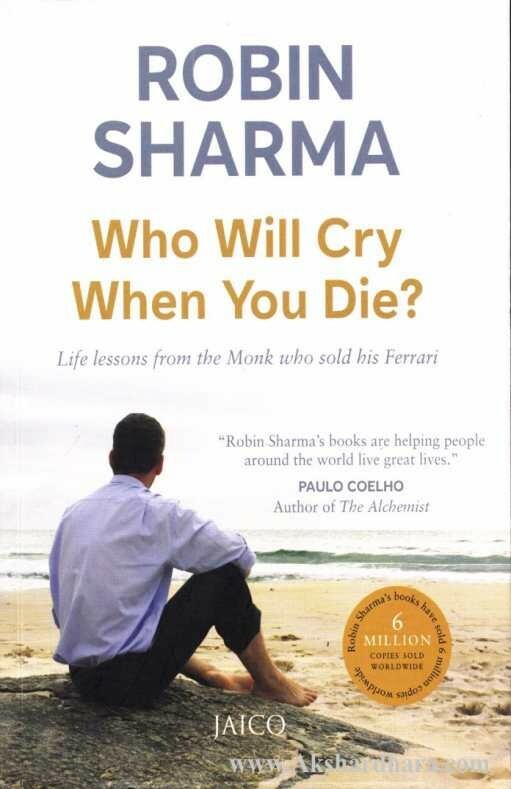 If so, then this very special book by leadership guru Robin S. Sharma, the author whose Monk Who Sold His Ferrari series has transformed the lives of thousands, will be the guiding light that leads you to a brilliant new way of living. In this easy-to-read yet wisdom-rich manual, Robin S. Sharma offers 101 simple solutions to life’s most complex problems, ranging from a little-known method for beating stress and worry to a powerful way to enjoy the journey while you create a legacy that lasts. If you are finally ready to move beyond a life spent chasing success to one of deep significance, this is the ideal book for you. the books actually i see its great. do you have soft copy ? please.